According to neighborgoodscout.com, there are more than 450 property crimes annually in Bel Air. In fact, the property crime rate in Bel Air is an astonishing 52.75% higher than the property crime rate in the state of Maryland. And if your commercial facility is not properly protected, it could become the target of one of these crimes. Property crime includes, among other crimes, burglary, larceny, theft, motor vehicle theft, arson, shoplifting, and vandalism. One way to deter criminal activity is to install a high-quality commercial fence. This proactive form of security can help prevent theft, vandalism, and countless other crimes. But what type of fence is right for your facility? There are several options available: wood, vinyl, aluminum, steel, and chain link. Available in galvanized, aluminized, and vinyl coated. Vinyl coated fences are available in black, green, brown, steel gray and white. Chain link wire is available in a variety of gauges or thicknesses to suite your needs. Vinyl slats can be added to increase privacy. Barbed wire and razor ribbon are available for commercial applications. With 40 years of experience, Freedom Fence and Home has provided the highest quality fence installations around. Our fencing experts are available to help homeowners and business owners select the right design and materials for their fencing project. We are constantly testing new products to stay ahead of the competition and bring you the most affordable prices. We are licensed and insured in the state of Maryland and our record of zero complaints with the Maryland Home improvement commission and the better business bureau speaks for itself. 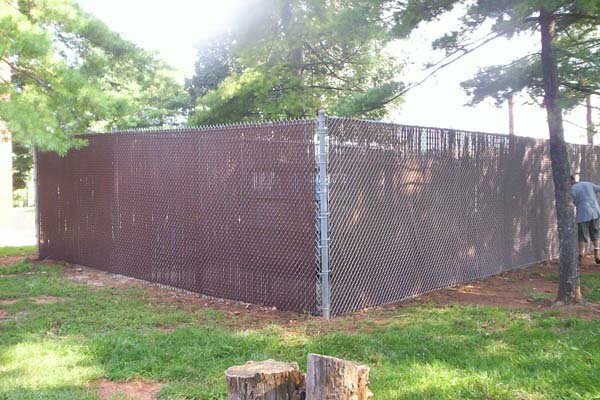 If you have any questions about Chain Link Fence installation in Bel Air, please contact Freedom Fence and Home by calling 443-271-6841 or visit our website. You can also follow us on Facebook and Twitter! This entry was posted on Tuesday, June 10th, 2014	at 4:18 pm	. Both comments and pings are currently closed.